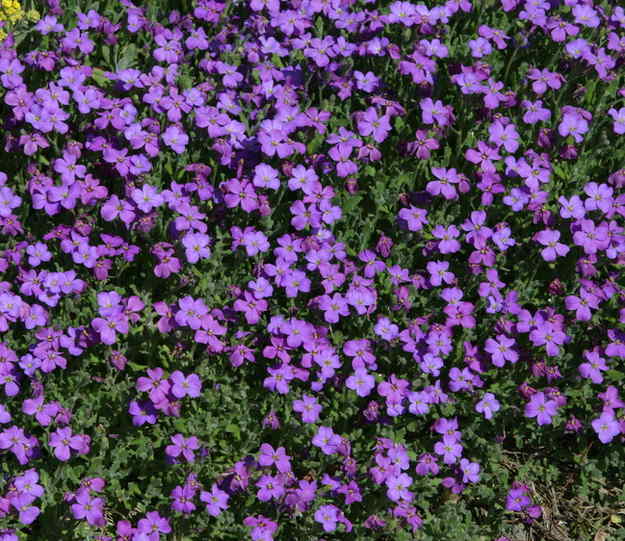 Bellflower is a little flower that is perfect to mark edges and provide ground cover. This is a must-have for your garden! Caring for these plants from planting to blooming is very easy and their decorative effect is guaranteed. Best is to plant your bellflower in fall, but you’re also free to plant in spring in light and well-draining soil. Bellflower will be quite happy anywhere in the garden, even in garden boxes, pots or containers on a terrace, deck or balcony. It finds edges, rocky ground and flower beds particularly appealing. Avoid excessively chalky soil, because bellflower has a repugnance to chalk. It often results in leaves turning yellow. Enrich the earth from your garden by mixing in some soil mix and you’ll increase the blooming. Keep a distance of around 8 to 10 inches (20 to 25 cm) between each plant to give each the space it needs. Water regularly at the beginning and then if the weather is dry. Propagate your plants by dividing them in fall, it is quite easy to do and it rejuvenates the plant every 3 to 5 years. There are a great many bellflower species, over 300. Most bellflower types are easy to care for and only require a little care, especially when properly settled in. 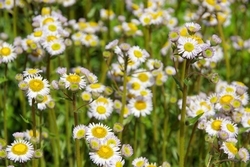 To allow for appearance of new flowers, cut wilted flowers regularly. Bellflower copes well with sun, moderate watering and relatively dry soil. But if ever a long dry spell has come, feel free to water in the evening. Like most flower plants, bellflower extracts from the ground the nutrients it needs to bloom. 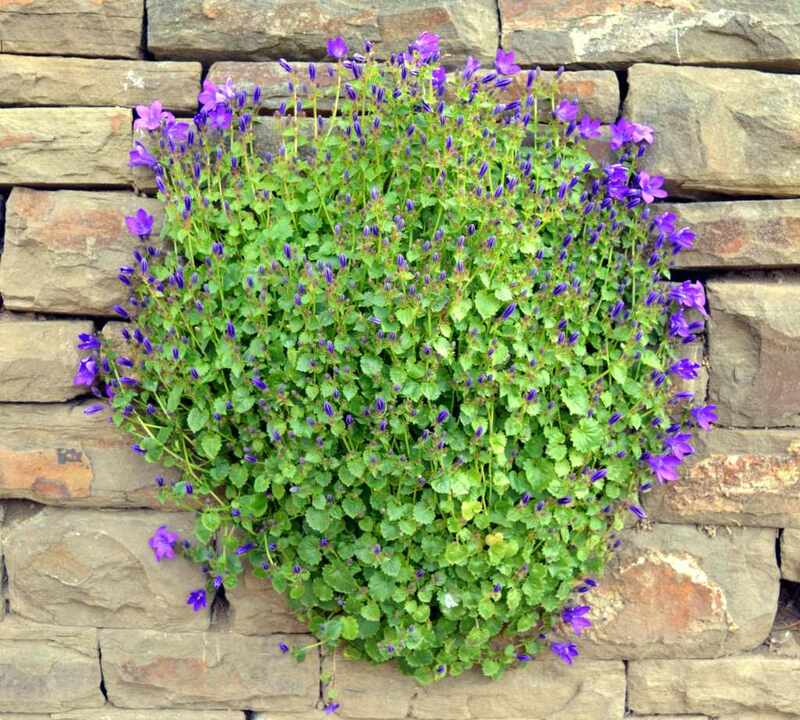 After 1 or 2 years, especially for bellflower in a pot or garden box, it is preferable to provide flower plant fertilizer in spring. Adding fertilizer will act as a tonic for your bellflower and will increase the blooming as years go by. Even though it is quite resilient, bellflower is rather vulnerable to parasite attacks such as red spider mites, caterpillars and slugs. The threat won’t make much damage though and it will only very rarely reach the point of eradicating your bellflower. 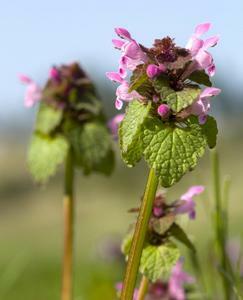 This perennial often grown as an annual or biennial depending on the species, makes for very good ground cover. There are over 300 species so don’t be surprised if your bellflower doesn’t grow back every year, it is probably an annual or a biennial species. It produces leaf bunches decorated with cute flowers which are lavender blue, violet blue, red or white depending on the variety. 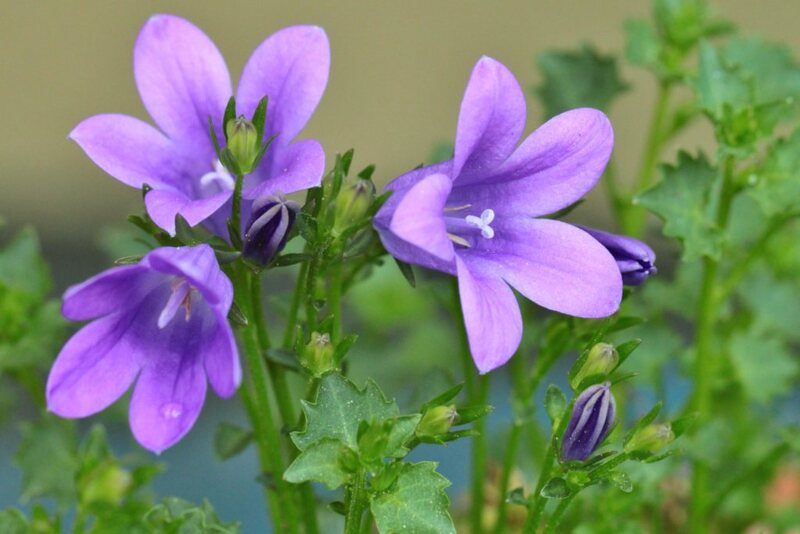 Very strong, it is particularly well suited to growing at the foot of perennial beds, along edges, on rocky terrain and ground cover for the Campanula muralis. You may sow both annuals and biennial species together. To do so, sow directly in the plot early spring.